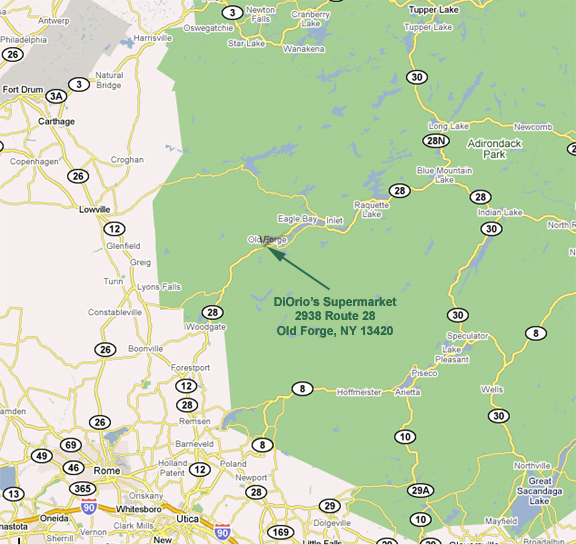 We are located in the heart of the Adirondacks! Take Interstate 90 to Exit 31 (Utica). Proceed North on Routes 8 & 12 toward Boonville, continuing on Route 12 when 8 bears off to the East. 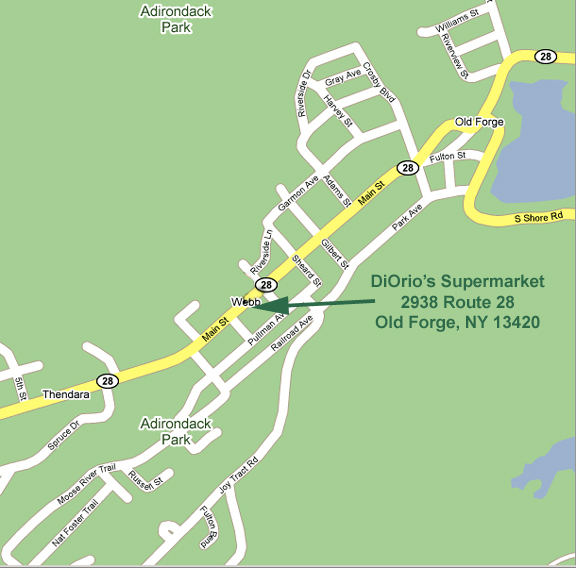 Stay on Route 12 for another 19 miles to Forestport and bear East onto Route 28 to Old Forge. Take Interstate 87 to Exit 23 (Warrensburg). Follow Routes 9 & 28 North to Blue Mountain Lake. Continue West on Route 28 through Raquette Lake, Inlet & Eagle Bay to Old Forge.